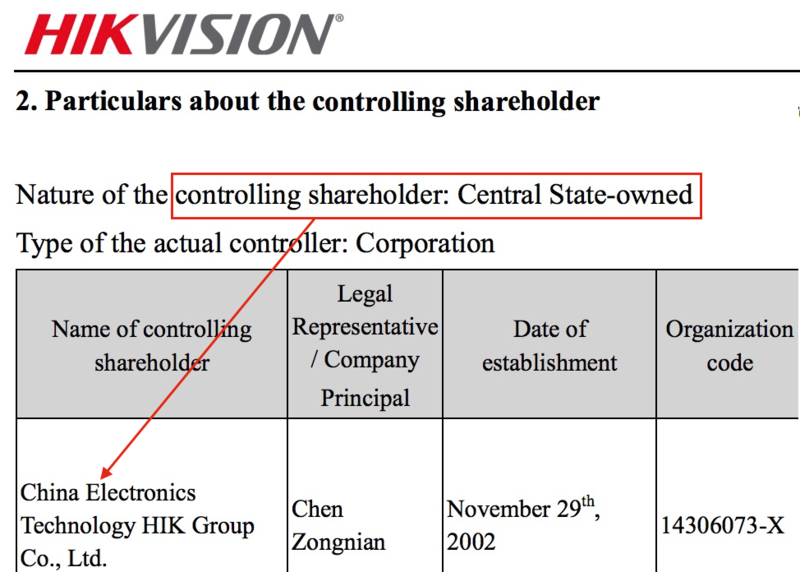 Hikvision is angry at the growing public awareness that Hikvision is owned by the Chinese government. What comes around goes around... When a CEO of a company tries to play dirty politics the unfortunate consequence is that business and employees suffer as a result. 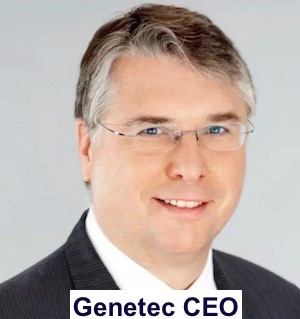 Whatever his twisted motive, Genetec’s leadership is running fast in the wrong direction. The scale and complexity of what we’ve done in China cannot be matched by a software such as Genetec. This comes after Genetec expelled Hikvision, quarantining Hikvision products to a new 'restricted' category, causing an industry uproar when IPVM broke the story. an apparent attempt to win blogger clicks and financial gain. 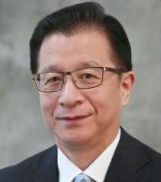 The Hikvision executive speaking here is Jeffrey He, President of Hikvision North America. I respect Jeffrey. In my interactions with him over the years, he has been calm, level headed, and thoughtful. In our conversations with Hikvision employees and partners, we hear similarly good things. Moreover, I take no offense to his comments about IPVM and still respect him. Hikvision is best served by people forgetting about the Chinese government ownership, not generating more controversy and 'clicks' by feeding into it. This interview's approach is far out of character for how Hikvision operates and how Jeffrey historically conducts himself. Letting one's emotions fuel one comments is risky and typically counterproductive. However, this interview underscores the amount of pressure that Hikvision and their executives are under. Hikvision corporate has set extremely aggressive / unrealistic growth targets that Hikvision North America has missed, despite the monthly price cuts and large scale hiring. That alone has been a challenge for Jeffrey. The China government ownership reporting has made things more difficult for Hikvision as a growing number of industry people ask or object. Certainly, IPVM has written the most about this but it has also made international news with the Voice of America covering Hikvision's ownership, the Times of London investigating Hikvision's ownership and the UK Daily Mail conducting an undercover investigation of Hikvision. All of this combined has undermined Hikvision's ambitious growth efforts as they try to do damage control. Genetec's move against Hikvision was especially damaging to Hikvision as, to many, it served as validation to the news reporting. Moreover, since Genetec stood to lose significantly financially by opposing a company with more than 20x their revenue and with $6 billion in fresh Chinese government funding, it was hard to spin or explain by Hikvision. When Jeffrey cut off all communications with IPVM, he explained to us that 'politics' were off limits. We made it clear that the only reason politics are discussed is because Hikvision is owned by the Chinese government. 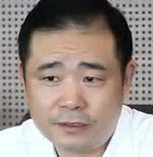 The Chinese government / Communist party is extremely sensitive to criticisms. Indeed, Jeffrey's Hikvision's superiors include Chinese government officials so they would be particularly motivated to stop this. In China, a simple solution exists to critics of the Chinese government - abduct and torture them (e.g., 1, 2, 3, 4, 5). Given that authoritarian power, it is understandable that they would be frustrated by the free actions and resistance of North Americans. This is a fact. IPVM first reported this 4 months ago. Hikvision has never attempted to rebut this. This is a fact. IPVM first reported this 7 months ago. Hikvision has never attempted to rebut this. This is a fact. IPVM first reported this 10 months ago. Hikvision has never attempted to rebut this. This is a fact. IPVM first reported this 1 year ago. Hikvision has never attempted to rebut this. Hikvision's China government ownership makes them a powerful threat against Genetec. Hikvision has shown they are happy to cut hardware prices and give software away for free to win deals. Genetec, as a private business that sells limited hardware, cannot match that. And Jeffrey's statement here clearly shows they intend to teach Genetec a lesson. Genetec's core strength is their software, especially for large scale / enterprise accounts. Hikvision claims they have their own more powerful software inside China. They will certainly need to bring it, assuming it is that good and ready for the Western market, to compete with Genetec at the enterprise. The battle will be challenging. Hikvision can always beat Genetec on price and price should help on some deals but price does not matter as much in the Enterprise as it has to the small dealers Hikvision has done best with in North America. Plus, it will be challenging for Hikvision to explain to Fortune 500 executives and US government officials why their government ownership is no big deal. This type of public battle between two of the industry's largest players is unprecedented, primarily because everyone tends to lose in such affairs. Of course, as the Chinese government's video surveillance division, Hikvision has unprecedented power and will surely use its might to put down this resistance. it seems that Genetecs adm. Director Pierre Racz want to emulate some American blogger (John Honovich, IPVM.com, editorial comment), whose sole purpose seems to be to instill fear, uncertainty and doubt Hikvision, simply because it is a Chinese company. Genetec leader's interpretations of war, espionage and treason are taken from a Hollywood magazine, but I am sure that security personnel and integrators can figure out Pierre Racz attempt to spread fear through vague accusations and absurd postulates. Comments (91) : PRO Members only. Login. or Join.